or enjoyed grace in the Age of Kingdom. None has seen the King of the kingdom. Some prophesied its beauty in the light of God's Spirit. They know but its exterior, nothing within. what realm man will be brought to in the Age of Kingdom. with the Age of Kingdom. 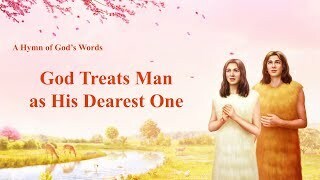 God's disposition manifests itself to man. proclaiming to all, to all. in time His people shall be completed by Him. when God's kingdom will be established and shaped. And He will be transfigured and face the universe. Man will see His true and glorious face. proclaiming to all, to all, to all, to all.